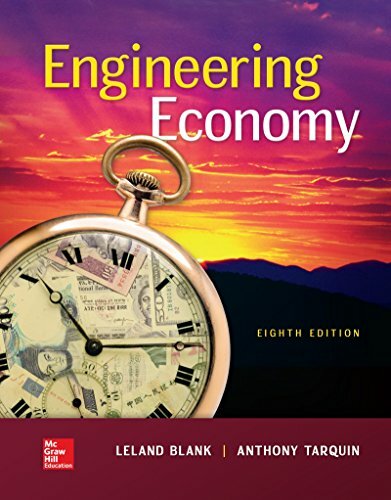 Engineering Economy presents a crisp, bold new design using color, highlighting and icons to focus on important concepts, terms, equations and decision guidelines. There are new features, new topics (such as ethics and staged decision making), and new online tools; yet no compromise on coverage, examples, or the well-accepted writing style of this popular text. Solved examples, problems and case studies target many of the current engineering challenges in areas such as energy, ethics, the environment, and the world’s changing economics. McGraw-Hill Education’s Connect, is also available as an optional, add on item. Connect is the only integrated learning system that empowers students by continuously adapting to deliver precisely what they need, when they need it, how they need it, so that class time is more effective. Connect allows the professor to assign homework, quizzes, and tests easily and automatically grades and records the scores of the student’s work. Problems are randomized to prevent sharing of answers an may also have a “multi-step solution” which helps move the students’ learning along if they experience difficulty.